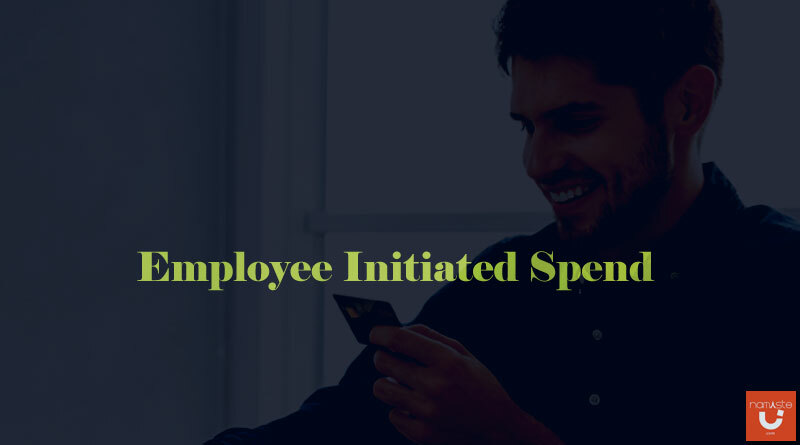 Employee initiated spend is happening in various ways across the organization. Employees are spending more across various spend categories and using more types of payment methods than ever before. Today’s workforce is not interested in working with outdated processes, and the finance department struggles to see accurate spend data and manage the spending without a solution that tracks employee spending habits. Employee spending will create challenges for organizations as they grow and as technology continues to evolve. Employee initiated spending creates problems for the finance department if not managed properly. Unlike corporate card spending where organization allocates budget for business travel, employee initiated spend is more difficult to track. Employee spending includes Travel and Entertainment (T & E) and non-traditional items that are clubbed together. The spending includes various categories such as ancillary fees, mileage tracking, mobile roaming fees, VAT compliance charges, and home office expenses – making it more difficult to effectively capture and track spending. Organizations use a variety of payment methods such as corporate, ghost, virtual, P-cards, and personal cards. When multiple payment methods are managed by various systems that are not centralized will result in challenges for data sharing. In addition, employees use corporate cards for other types of spending such as entertainment, meetings, and tradeshow costs. As workforce demographic continues to change, where employees book travel complicates the traditional travel management programs. Travelers should be given mobile and flexible options when booking business trips. Lacking the ability to track out-of-policy bookings and associated spend will continue to challenge organizations. Suppliers are now marketing directly to employers with offers, insisting to purchase directly. Multiple booking channels would create disconnected silos of information, making it difficult to accurately track spend and negotiate supplier discounts. Most finance department cannot manage employee spending as don’t have the technology to track. Automating every part of the spending process allows you to capture data from every end to gain complete control over spend. How finance department should manage the spend needs to change along with how employee spending habits changes. Employee initiated spending is not just about travel or expense management, it is the way employees use apps, and payment methods to make purchases. If you don’t understand, control, and connect with employees, you may not know why employee spending is going beyond control. Travel and expense process automation is the most crucial step. You have to go beyond automation to digitally capture the spending whenever and wherever it happens. Using technology that connects you with travel, expenses and invoicing can help you gain insight into business spending. Also, you can forecast the future expenses and set budgets as per the travel trends. Most importantly, expense report software allows you to effectively manage the organizations spend. That’s where SutiExpense comes into the picture. SutiExpense allows you to see employee initiated spend data so you can proactively manage the spending all at once.